Suicide is the biggest killer of young men in the UK. Every year more than 6,000 people take their own lives and 22 per cent are men aged between 16 and 24. Men are three-times more likely to take their lives than women and the equivalent of one man dies every two hours. Just what is needed to be done by William and those that can help make this happen. To lose a child is the worst parents nightmare ever and my heart goes out to all that this has happened to for their grief is unimaginable. James was brother to Harry Wentworth-Stanley, Cressida’s boyfriend. The Duke of Cambridge will attend a ceremony at Amiens Cathedral in France marking the centenary of the Battle of Amiens on August 8. The Duke of Cambridge will visit Edinburgh on Thursday 5th July. HRH will present Royal Medals at the @news_RSE, attend the Annual Service of Commemoration at the Scottish National War Memorial, and will join a reception to mark 70 years of the NHS in Scotland. The Queen is currently on a four day visit in Scotland to mark Holyrood Week. 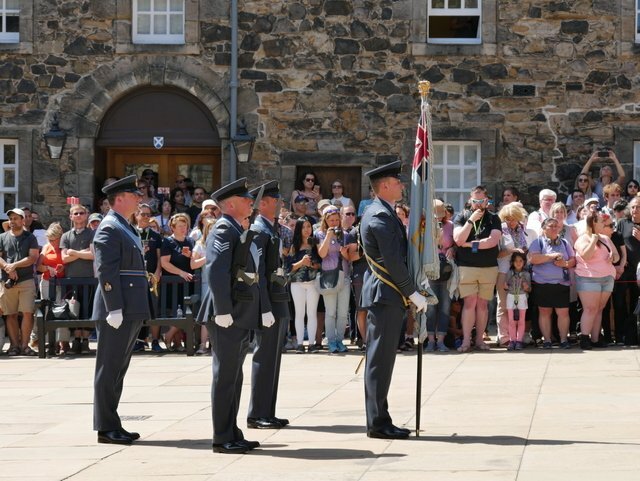 And just around the corner, grandson Prince William arrived at the Scottish National War Memorial at Edinburgh Castle for the Annual Service of Commemoration on Thursday. 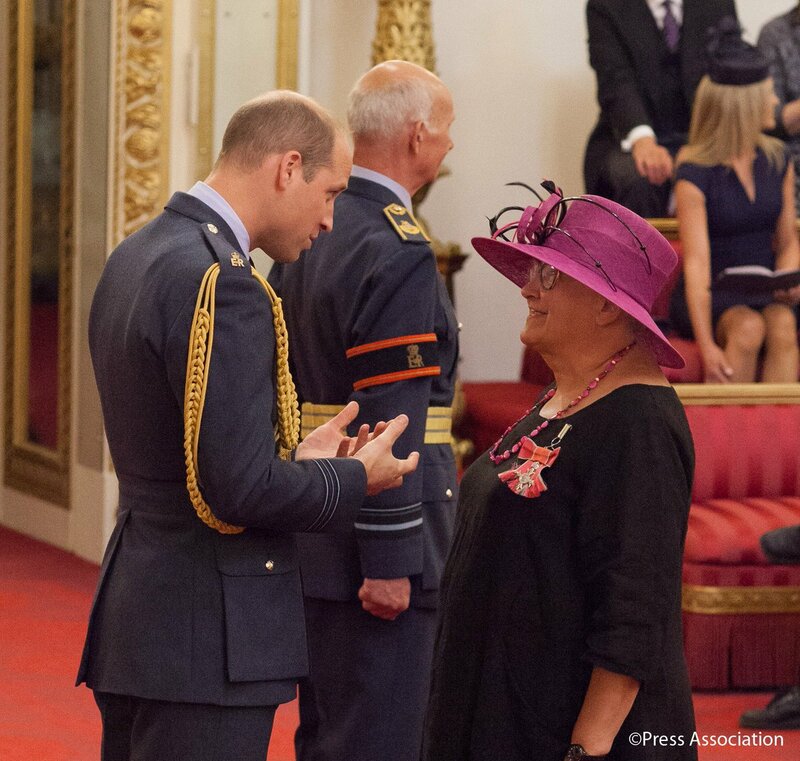 The Duke of Cambridge was dressed in military uniform as he arrived to present medals to pioneers in the fields of molecular biology, civil engineering and music during a day of royal engagements in Edinburgh. 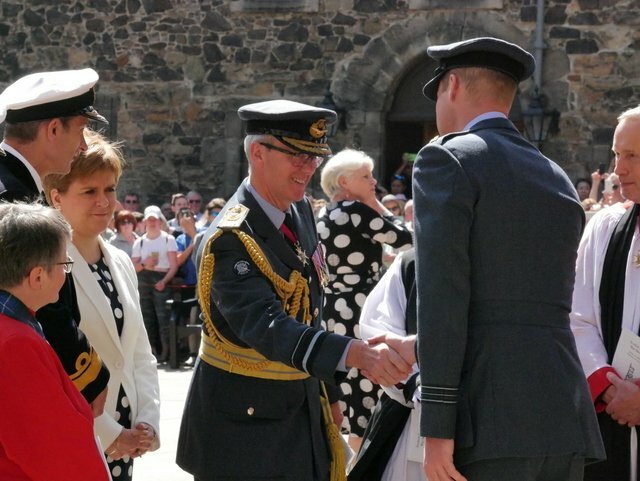 He was joined by First Minister of Scotland Nicola Sturgeon, who wore a white blazer and polka dot skirt for the occasion, seen chatting to the prince after the service. 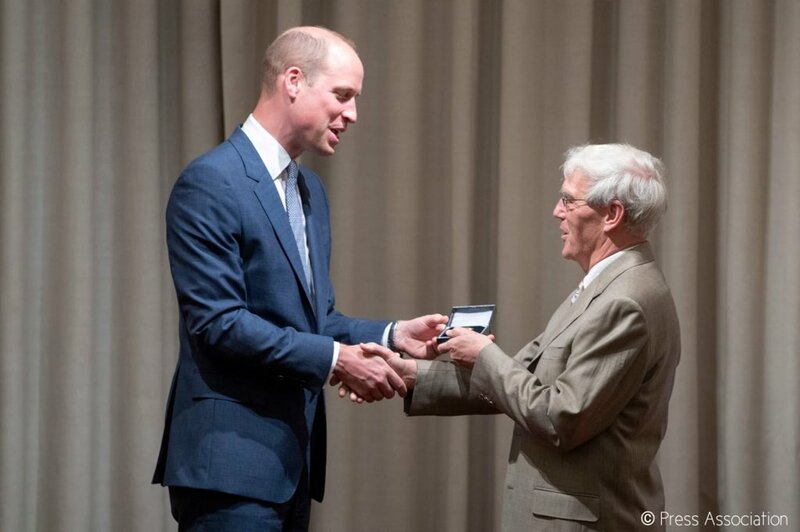 Today, The Duke of Cambridge, Earl of Strathearn presented Royal Medals the Royal Society of Edinburgh (RSE). #HolyroodWeek. 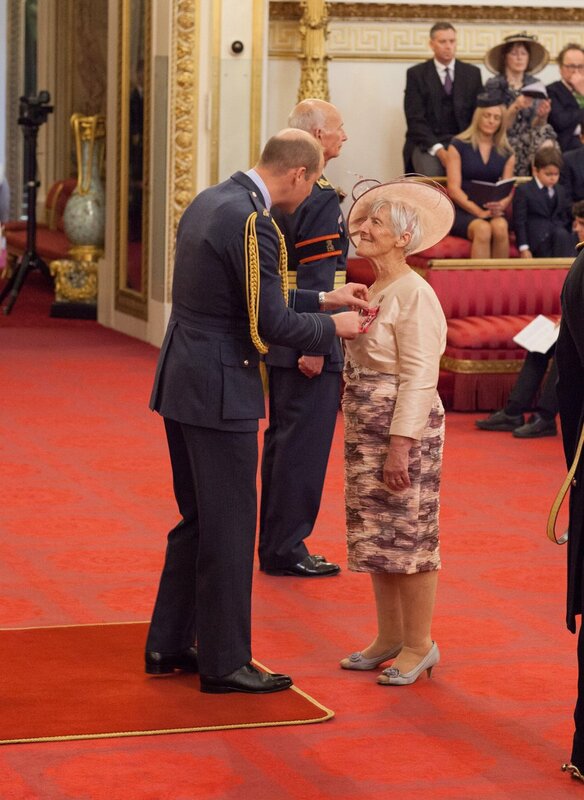 Prince William, Earl of Strathearn, Honorary Fellow, the Royal Society of Edinburgh, this afternoon presented Royal Medals at 22-26 George Street, Edinburgh, and was received by Her Majesty’s Lord-Lieutenant of the City of Edinburgh (Councillor Francis Ross, the Rt Hon the Lord Provost). 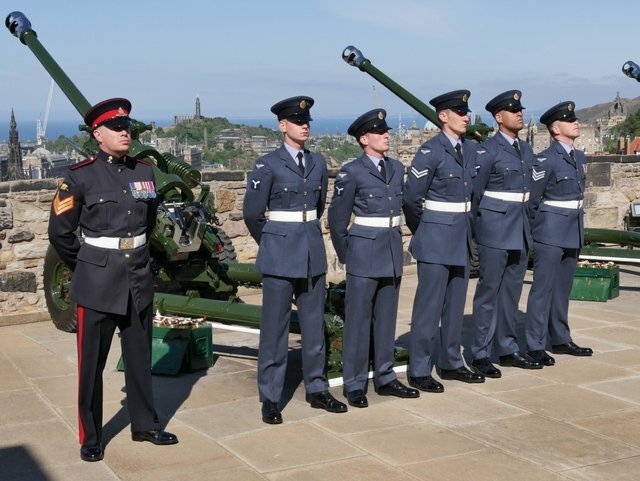 His Royal Highness later attended the Annual Service of Commemoration at the Scottish National War Memorial, Edinburgh Castle, and laid a wreath. Prince William, Earl of Strathearn, this evening attended a Reception to celebrate the Seventieth Anniversary of the National Health Service Scotland at the National Museum of Scotland, Chambers Street, Edinburgh. He probably stayed with of visited his grandmother (or did she return to England?) on his way there/back; I am sure she would like a first hand report of his successful visit to the Middle East. The Order of the Thistle Service is tomorrow. The Queen, William and Princess Anne will be there. HRH The Duke of Cambridge arrives at the 70 years of the NHS celebration in Edinburgh. Re the Polo, how good is Wills, really? Anyone have opinions? I get it that he is riding a well trained loaner pony and that it would be bad form to make a marquee appearance look bad, but he does look like he knows what he is doing in photos. I've always wondered how he stays in good form for polo/where and when does he practice; we never see him practicing polo or otherwise riding for pleasure? I'd say he and Harry both are good polo players. I also think they practice and ride out of our reach. Not surprising. They really are excellent riders, great seats...you don't stay on top of those ponies unless you are fit and in tune.